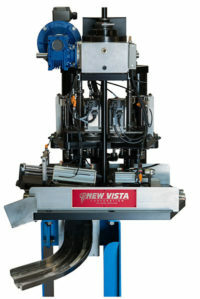 New Vista’s patented Thread-Verification Units (TVUs) and related products are supplied in a variety of configurations, but they all perform the same function: to drive, at high speed, a gage probe into, through, or onto threaded production parts; and to reverse back out again, thus providing 100% assurance of assemblability. For systems or stations that need dependable thread-verification, these Units are supplied ready for integration into production equipment. 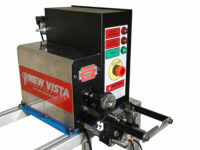 These low-cost, fast-cycle Machines are replacements for hand gaging of threads. They are 4 to 5 times faster than hand gaging and they are ordinarily supplied as turnkey standalone workstations. An operator can learn to run one in less than 5 minutes. Reliable verification at production speeds in the palm of your hand. 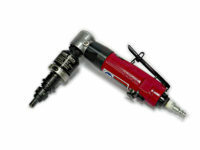 Compliant Toolholders will accommodate out-of-position threaded features.